OrindaVision is a volunteer group of local citizens who see the potential for significant improvement of downtown Orinda. The vision is of a lively and intimate town center that provides better designed places in which to work, shop and dine, a more pedestrian-friendly circulation pattern and the introduction of attractive and convenient in-town residential living. The vision embraces thoughtfully planned (as opposed to unplanned and piece-meal) renewal of downtown that preserves its village character. OrindaVision is pleased to release this new video with drone footage about our downtown. It features information on downtown buildings as well as current economic and planning data. We hope it informs the public as the city begins a long-awaited discussion about improving downtown. This video features local residents describing the need for an upgrade to downtown Orinda. The video has information on how to get involved in the effort. Orindans are blessed to live among the oak-covered hills overlooking the San Pablo Valley, one of the most picturesque locations in the San Francisco Bay Area. The city’s General Plan emphasizes the value its citizens attach to the semi-rural environment of its neighborhoods and the village character of its downtown. The village character of Orinda’s commercial districts was created long before its General Plan was drafted. The vision for the Crossroads, the Orinda Theater and Orinda Village had their origins almost 100 years ago. The 1920 bridge over the San Pablo Creek at the north end of Orinda Way reminds us of this. The names of DeLaveaga , Breed, Caygill, Guidotti, McCaulou, Peretti, Phair and Rheem are familiar to many residents of Orinda today. Members of these families have all played important roles in the development of what is today downtown Orinda. Ownership of several downtown properties remains in the hands of their descendants. Today many of Orinda’s commercial buildings are over 50 years old. Some are nearing the end of their useful lives. The City Council has recently directed the City’s planning staff to prepare a Village and Crossroads improvement plan as a 2016-17 strategic priority. It is time for Orindans to give serious thought to how downtown might be improved in the future. 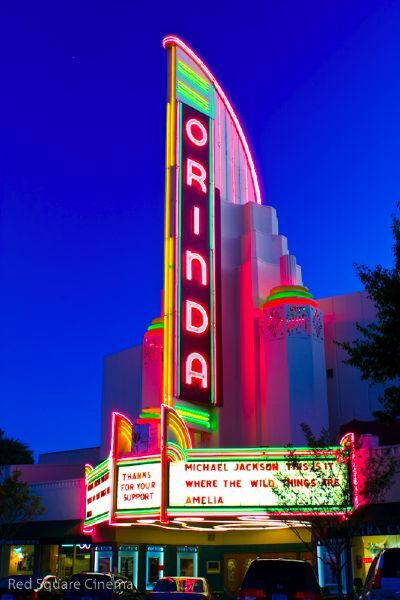 Currently the City of Orinda has no specific plan for the future of its downtown. OrindaVision believes it would be helpful to have a plan to guide the inevitable change that will occur over time as ownership of downtown properties eventually passes from one ownership generation to the next. We have urged our fellow Orindans to reflect on how downtown might be improved in the process and to participate with us in refining a community vision that could guide the planning effort. What if there were a well thought-out plan for the renewal of downtown that took into consideration the needs of both residents and merchants? … a plan that incorporated architectural beauty and environmental considerations, that provided access to San Pablo Creek, that maintained the village character that drew its residents to settle here? Suppose one could walk from one end of town to the other, enjoying sidewalk cafes in sun or shade? Suppose one could accomplish essential and boutique shopping while enjoying planters overflowing with flowers and greenery and the hills in the distance? What if there were a vision for the future of downtown that insured all new buildings and upgrades conformed to a carefully designed plan? …a plan fashioned by Orindans? into what is evolving as a community vision for the creation of a more attractive downtown for future generations. OrindaVision welcomes your comments below. Click on any of the menus above for more information. Explore recent posts to the right and join in the discussion about a more exciting future for downtown Orinda. ...Let's get on with renewal of downtown! Perspectives shown on these pages are the work of Orinda resident Peter Hasselman, FAIA. They represent alternate visions of how downtown Orinda might appear 20 years from now if a planning process were to begin today. The images are meant to be illustrations of what might be. 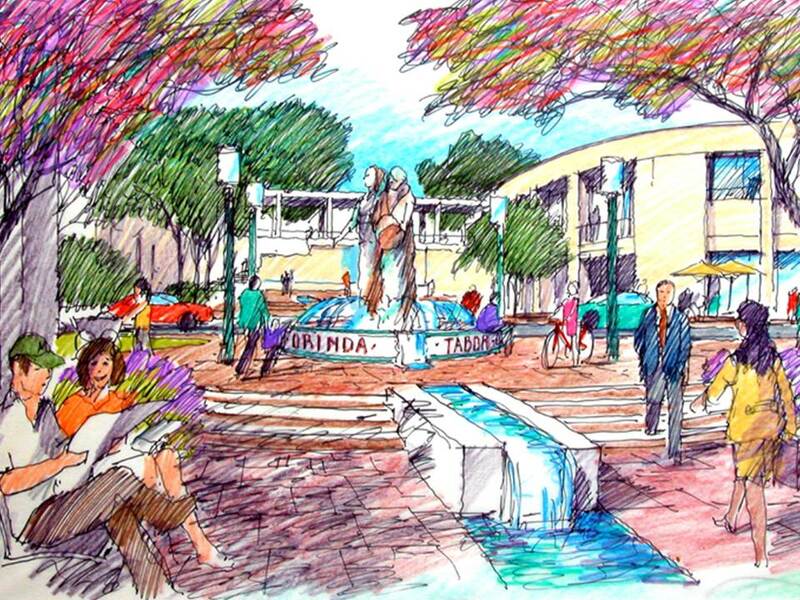 It is up to us, the citizens of Orinda, with the help of planning professionals, to fashion a plan for the downtown we will leave our children and grandchildren.